Give your walls a great new look without the fuss and mess. 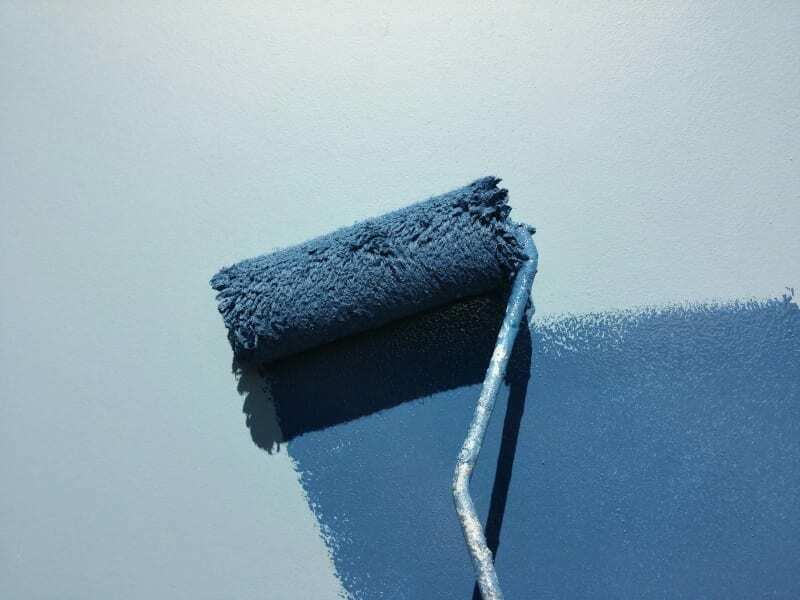 Generally, you need to make sure that you load your brush with the right amount of paint, which is crucial in preventing unnecessary blots and drips on the floor. Simply dip your brush into the container of paint about 1 1/2 inches deep and tap the sides of your brush gently to remove any excess. All you need to do is to make sure you move your brush continuously, otherwise dripping can become a problem. Less paint, however, is needed when you paint window sash and trim. Although having experience in painting increases your chances of achieving outstanding results, you can also start by having the right tools for this task. A good paintbrush helps a great deal, and you should opt for one that offers the right width of stroke. For starters, you can use a roller that can reach about half an inch of your ceiling. This tools also spares you from using up much of your energy in brushing intensively, which is one thing that you are not supposed to be doing much. As for baseboards, you will need a paint guard such as a wide taping knife. Just be sure to clean the blade thoroughly to prevent any drips from getting around the knife’s edge. Make the baseboard the last area to paint, as this stops any grit, dirt and dust from going all over the brush and the floor. Then, never miss out on checking the surface for any flecks or drips caused by the roller or brush. When you need to paint a door that is already in place, you may do so by working the brush horizontally, depending on the type of door you have. For a paneled door type, it is ideal to begin with the panels before working out the door’s outer edges and going into the center. Check the corners carefully since these are most likely to have puddled paint. Following the grain of wood on your door is also essential when you paint the rails and stiles perfectly. Lastly, it is important that you take care of your brushes after use. This is a must since paintbrushes impact the quality of work done on your walls. You may wrap your brushes or rollers in a sealed bag before placing it inside the fridge as this slows down the length of time for the latex paint to dry. In the case of a roller cover, you may need a new one for each painting job since it is time-consuming to clean a used one. With these painting tips, you can give your home a fresh new look with well-painted walls as though a professional did the job! How Can You Keep Your Paint From Drying Out Overnight?